This Frenchman got caught for ‘larceny by truck’ in Scranton, Pennsylvania. He was a salesman who -if I understand this right- tried to flee by truck without giving back the change on a transaction? If so I hope it was an amount significant enough to risk the trouble of getting caught. And they took his mugshot with his hat still on! This entry was posted on Thursday, May 7th, 2015 at 8:39 pm	and tagged with 1920s, larceny, Pennsylvania, Scranton and posted in Bad Boys. You can follow any responses to this entry through the RSS 2.0 feed. Great one! Love the hat! I know right! 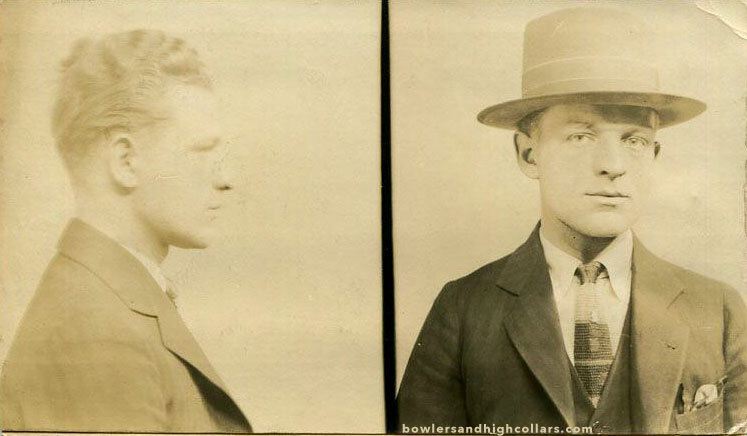 Who today gets their mugshot taken with their hat on? I guess hats were so common they were part of your identity.